Stratford Town Council held their regularly scheduled Council Meeting and closed with a presentation by Commanding Officer, Chief Superintendent Joanne Crampton to Mr. Harry MacLellan for his work with Citizens on Patrol, a community-based crime prevention volunteer group. Mr. MacLellan was the first person to step forward in 2008 to volunteer with the program which was implemented by RCMP. Mr. MacLellan worked with RCMP to establish a similar program in Cornwall which is proving very effective and began work with the Souris area to do the same. His reputation was apparent when five uniformed RCMP members attended the presentation to support and thank Mr. MacLellan. 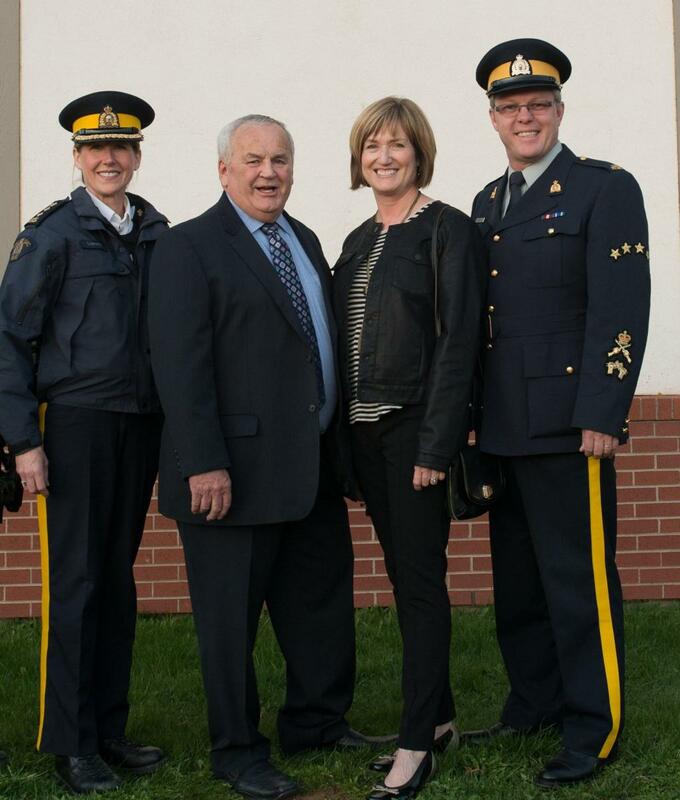 In addition to recognizing Harry, the officers on hand bestowed a gift to his wife, Kathy, for her patience over the years as her husband assisted police in community safety activities and numerous Citizens on Patrol meetings. Citizens on Patrol work within their communities to curb criminal activities. Their input is vital to police as there is no one better to provide information than those who work, live and value their neighborhoods. The volunteers do not have authority to make arrests or take any action so as to minimize any threats to their safety. Instead, the group is focused on staying aware of what’s happening in the neighborhood and providing information to police whenever required. It’s a close and effective working relationship that benefits many.